Four people were killed and four others injured when truck overturned in Ukhia upazila of Cox’s Bazar on Monday morning. The accident took place around 9am in Balukhali area. 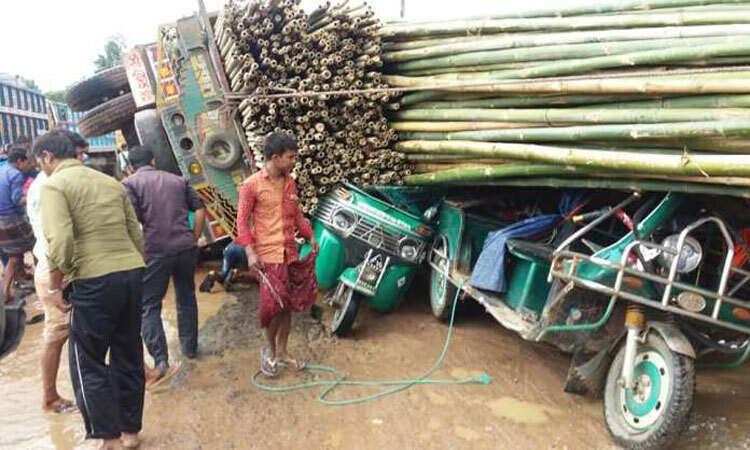 Cox’s Bazar district's Additional Superintendent of Police Md Afrazul Haque Tutul said, the bamboo-laden truck rammed into three human haulers and a CNG-run auto-rickshaw on the road after its driver lost control over the steering, leaving four people dead on the spot and four others injured.